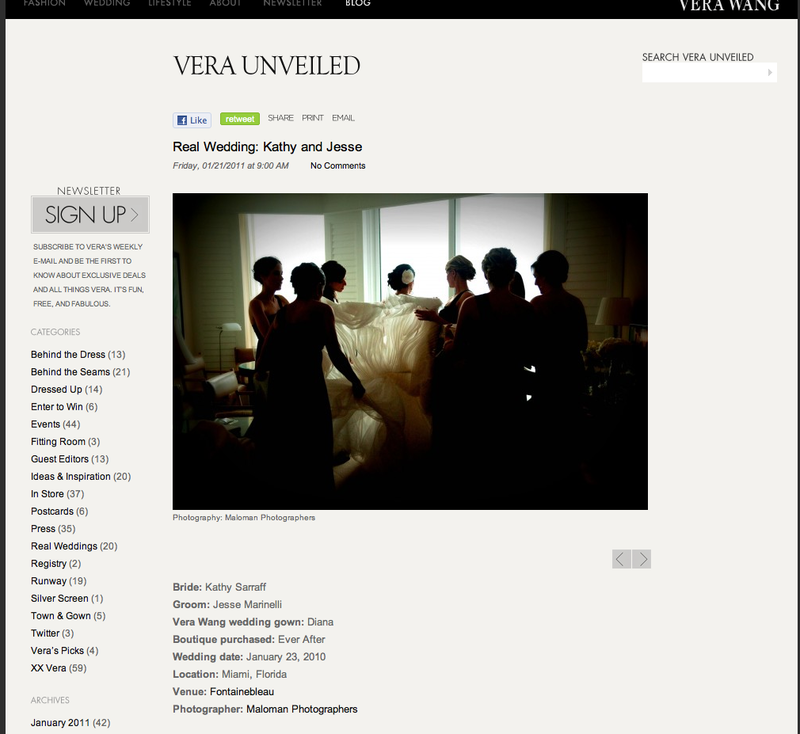 I was sitting in Maloman’s studio today with a beautiful bride and he says, “hey, did you see Kathy and Jesse’s wedding on the Vera Wang Unveeiled blog?” Huh? What? No! Surprise, Surprise! It was posted this morning as a real wedding on her blog! How exciting!!!!! Thank you Kathy for submitting the wedding. I am dying to blog this wedding. It was amazing! I promise, it will be the next blog I post. =) Malomans, you guys are awesome! Good Times! Cheers.